When you’re ready to get serious about working out, the best place to start is with a quality pre-workout supplement. These products give your body a big boost right before you hit the gym, giving you more energy and improving the effectiveness of your workout. Not all pre-workout supplements are the same, however. Here are some of the very best supplements that are specifically designed to work well with women’s bodies. Before we get started, it’s worth addressing the idea of a supplement created specifically for women. In terms of your pre-workout, the biggest difference between men and women is raw body weight. Supplements that are created for men can have excessively high doses of certain ingredients (especially caffeine), making them unpleasant or even unhealthy to take. This is because your body’s ability to absorb ingredients is linked to how big your body is. A 250 lb man can take a whole lot more caffeine than a 110 lb woman. Most of the other ingredients in your pre-workout have smaller doses relative to your body’s tolerance, so if you can find a low-caffeine or even caffeine free supplement for men that you like, there’s nothing wrong with taking that instead. Be wary of ingredients that claim to boost testosterone levels — hormones are a tricky topic to tackle and you should probably steer clear of any supplement with the word “testosterone” on the label. Caffeine isn’t exactly hard to come by these days. Figuring out whether or not you should have a cup of coffee on workout days is a bit of a headache, especially since many of us will proceed to drink more caffeine-containing drinks throughout the day. It’s much easier to simply choose a stimulant free pre-workout and enjoy a delicious mocha on your way to the gym. Jamie Eason’s pre-workout is a simple, stimulant free formula with Taurine, L-tyrosine, Choline, and Citrulline Nitrate. These ingredients help give your muscles the fuel they need for sustained cardio and strenuous weight training. In other words, it helps you work out harder for longer. When you choose a stimulant-free pre-workout like this one, do be sure to actually have some form of caffeinated drink before you start working out. Caffeine doesn’t just give you energy, it’s also been shown to aid muscle development and have other direct benefits for strength training. Supplements like this one just give you more freedom to choose a dose and source that’s appropriate for you. 100 MG OF CAFFEINE: Many consumers have benefited from the effects of caffeine and use it regularly in both their training and competition. FitMiss Ignite is packed with 100 mg of caffeine to provide energy during workouts and training. 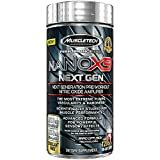 EXCEPTIONAL FAT BURNER: This women's workout supplement contains beta-alanine along with natural amino acids like glycine and taurine, backed up by the fat-burning power of L-carnitine. It's also gluten-free. BANNED-SUBSTANCE TESTED: We take pride in including superior and safe ingredients in our products. FitMiss Ignite is banned-substance tested and certified by Informed-Choice. You can feel confident that it's completely safe to use. 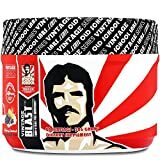 If you’d prefer to get your energy from your pre-workout directly, this powerful pre-workout powder is the choice for you. It’s got a carefully crafted energy matrix that will help get you through the toughest workout program. In addition, however, it’s got lots of ingredients that help your muscles work hard for longer. What ingredients? You’ll see things like L-Citrulline and Agmatine sulfate, both of which are linked to circulation. More blood flowing to your muscles will give them more fuel and help your body carry away waste, giving you more strength and endurance. There are also a few BCAAs in order to help your body recover after your killer workouts. If you’re looking for a complete pre-workout that’s designed specifically for women, you definitely can’t go wrong with HIT Igniter Extreme. The blend of proven muscle and energy boosters is incredibly effective when it comes to helping you get the results you want. While this might not be the most ingredient-packed pre-workout, it has a much smaller dose than competing products. This makes it a bit easier to take on the go, which is very important to some women. In addition to quite a lot of caffeine and a bit of agmatine sulfate, this supplement has a lot of betaine. This underrated ingredient will boost your workout performance overall, but the big draw is how it affects lean muscle mass. In other words, it’ll help you look toned instead of helping you bulk. It’s actually pretty tough to find supplements with this ingredient, probably because they’re all too busy trying to cater to male bodybuilders. 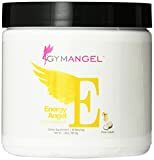 If you want something that’ll help you achieve the toned body you want, Gym Angel’s Energy Angel might be the pre-workout for you. The pleasant taste, small dose, and women-centered ingredients make it a top choice. Okay, so what if you want a pre-workout that’ll help you build lots of muscle, fast? This gender-neutral stimulant-free supplement has huge amounts of key ingredients like niacin, arginine, and beta-alanine. It’s got a great reputation among bodybuilders due to how effective it is at increasing blood flow to your muscles. Increased blood flow gives you more strength, endurance, and recovery, and also plays a part in how your muscles grow after each strenuous training session. Another upside to naNOx9, of course, is that it doesn’t come with caffeine. This lets you be much more flexible with your beverages during the day. You’re also able to get just the right dose of your pre-workout without having to worry about your personal caffeine limits since you can control your intake separately. CLEAN ENERGY FOR TOP NOTCH PERFORMANCE & RESULTS: with Uplift, mediocre workouts are a thing of the past. Feel the rush of motivation and experience high level of sustained energy from the start of your workout to well past the end. Uplift provides an intense rush of clean and energy and focus helping you workout harder that you ever have before. MUSCLE BUILDING COMPOUNDS: Her Aminos muscle building compounds help reduce catabolism and increase anabolism during your workout. Your body will utilize these important ingredients for energy instead of breaking down your hard earned muscle. PREMIUM INGREDIENTS: Uplift's Energy Complex is powerful enough to ramp up your energy, without giving you too much caffeine. Our NOO Tropic Brain and Body Potentiators Complex feed your mind with important NOO Tropics that will support a crystal clear mental focus. 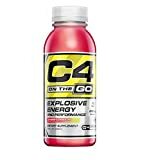 This helps reduce catabolism and increase anabolism during your workout, which helps your body use this energy instead of breaking down your hard earned muscle. SCIENTIFICALLY FORMUATED FOR WOMEN: NLA for Her's Uplift is scientifically formulated to support energy levels, improve endurance, and increase fast twitch muscle fiber activation during your workouts. Uplift will help you add a whole new dimension to your fitness game and assist you along your fitness journey of achieving your goals. All without that jittery feeling. THE NLA DIFFERENCE: NLA for Her is the pioneer of women's sports supplements! For too long women have had to choose between soft, weak vegan-based supplements or Men's sports supplements that can be too strong. It's our mission to provide women of all fitness levels with the highest quality, best tasting, effective sports supplements on the market! The NLA for Her team leaves no rock un-turned in an effort to be on the forefront of the female fitness boom! Like Gym Angel, this pre-workout focuses on delivering an effective energy matrix alongside muscle-boost ingredients. This means you get lots of caffeine as well as l-arginine, beta alanine, l-lysine, and even a big dose of Vitamin B6. It’s one of the better tasting pre-workouts, too, meaning it’s not too bad to swallow a few minutes before you hit the gym. The big advantage of Uplift is how it affects your mind. Rather than giving you uncomfortable jittery energy, the specific spread of ingredients gently lifts you up, keeps you calm and focused, and brings you back down smoothly when it’s over. This makes the entire experience of taking Uplift extremely pleasant. 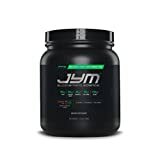 JYM’s pre-workout doesn’t screw around. It’s packed with pretty much every beneficial ingredient you can think of in large quantities. This makes it ideal for serious strength training. Unfortunately, it’s not designed with women’s smaller bodies in mind. A single serving of Pre has 300 mg of caffeine in it, which is a little bit on the high side. If you can handle it, great — this pre-workout will be perfect for you. If not, however, you’ll have to lower the dose, which means you won’t get quite as much of the rest of the ingredients. It’ll still be a good pre-workout, but it might not be the best. Looking for more? Check out the best pre workout supplements for elite athletes.